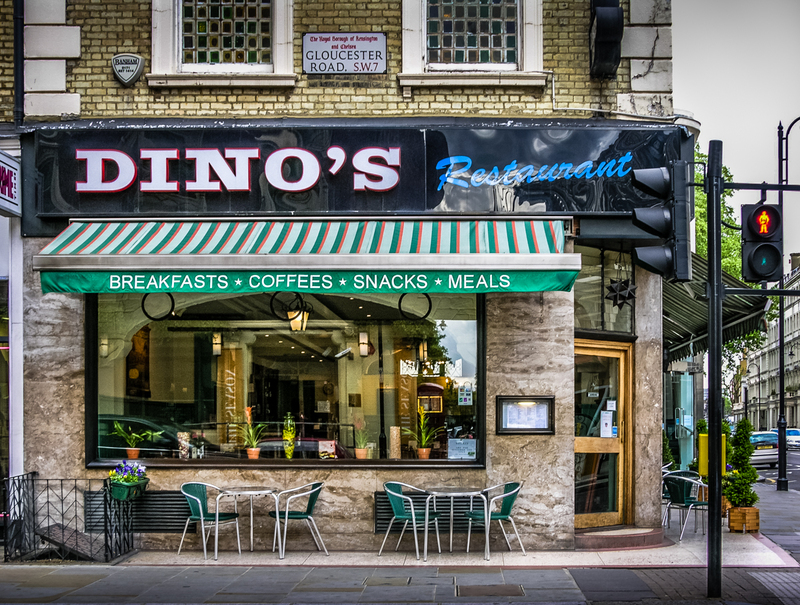 Dino’s Ristorante, 117 Gloucester Road, Borough of Kensington and Chelsea, London SW7, 2005 • Apparently the novelist Iris Murdoch used to dine here (Iris Murdoch as I Knew Her, A.N. 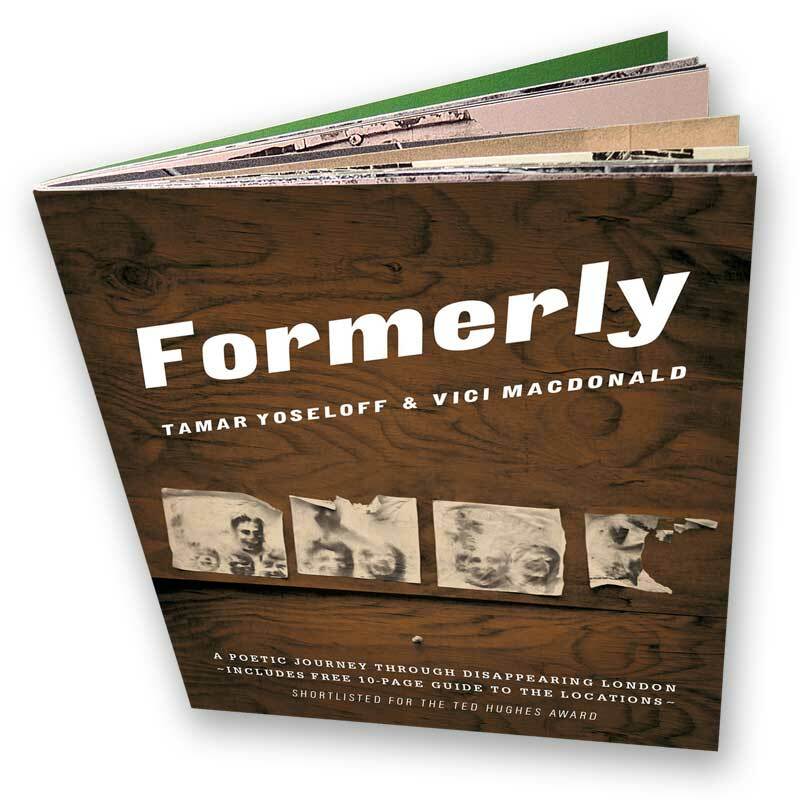 Wilson, Arrow, 2004, p15). 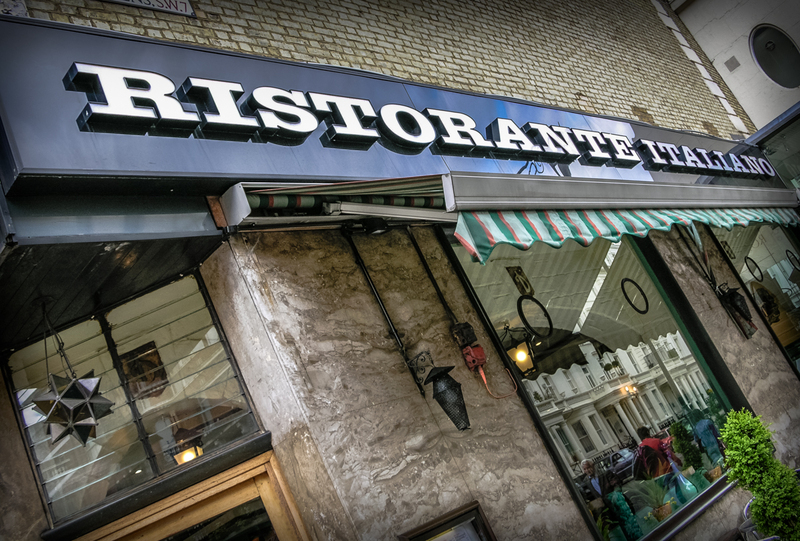 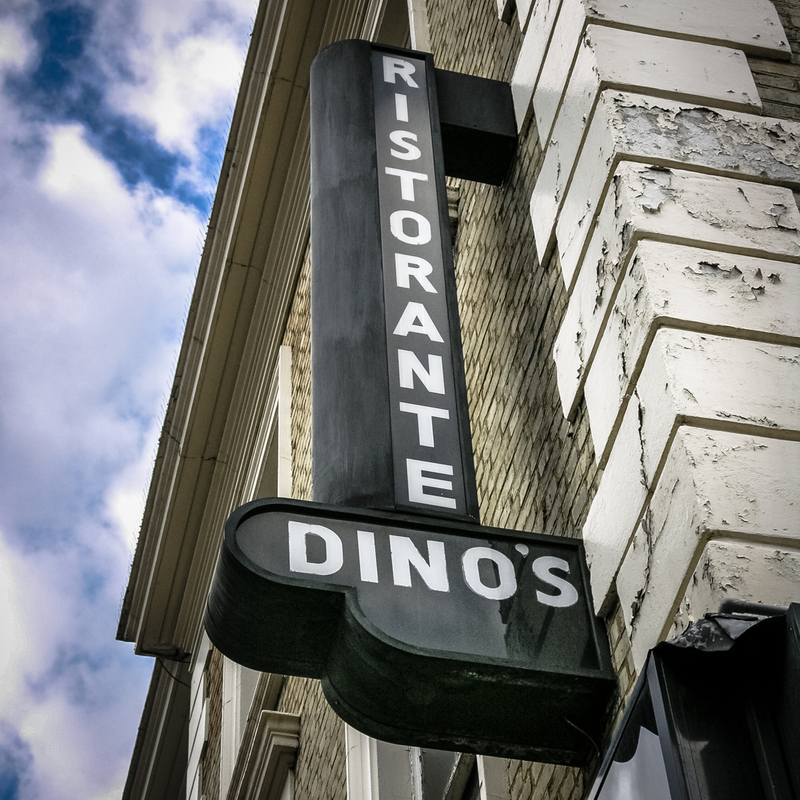 By 2008 it had become a Nandos but kept the long Dino’s Ristorante wall sign above it.